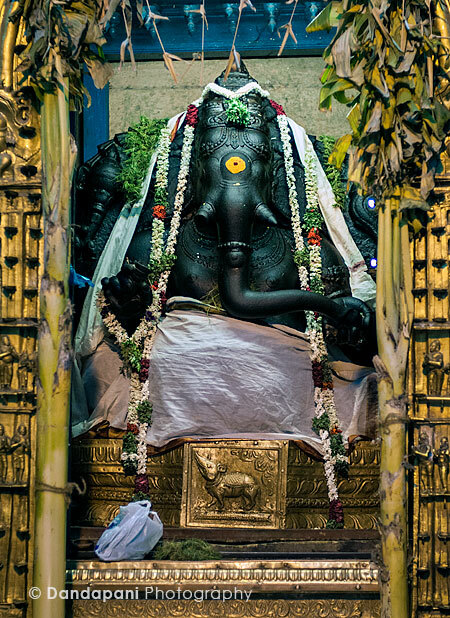 The worship of "God as Pillaiyaar" among the other forms of God, takes an important place in the "Saivaism" of Tamil Nadu. 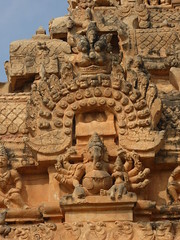 The third Tamil Sangam period literature namely Silappathikarem, Mathurai Kanchi, etc etc mentions of many temples known both as 'Koyilkal and Koattams' in Tamil Nadu to various God forms of Saivaism, and doesnot include any Pillaiyaar Temples among same indicating that Pillaiyaar worship was not in existance in Tamil Nadu during this period or earlier. However archaeologically the first evidence of Pillaiyaar worship in Tamil Nadu is seen from the rock-cut granite image of Pillaiyaar in one of the oldest Cave (Rock-cut) Temple of the Paandiyan period, presently housed within the Karuvarai of the present Karpaka Vinayakar Shrine in the Pillaiyaarpatti Temple (region of post Sangam Period Paandiya Nadu) situated between Pudukkottai and Karaikkudi in Sivaganga district. 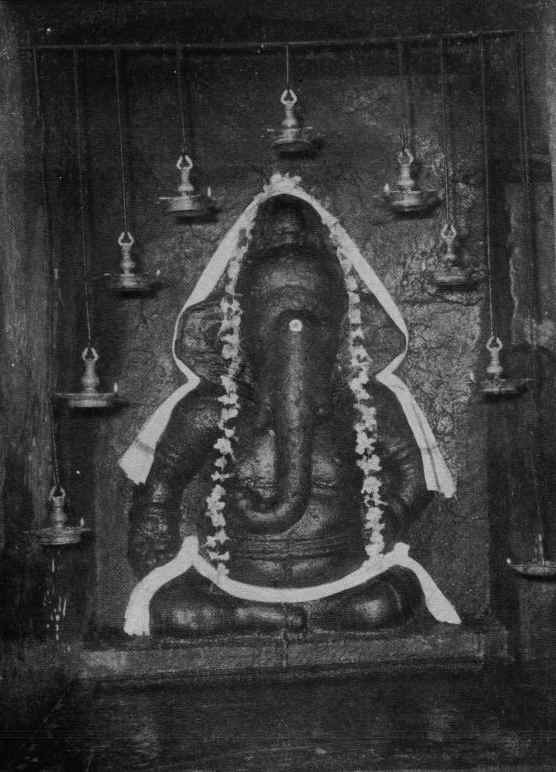 This Ganesha image is 6-ft tall and an adjacent Siva Linga are in bas-relief in an excavated cave from a hill in the precincts of the temple. 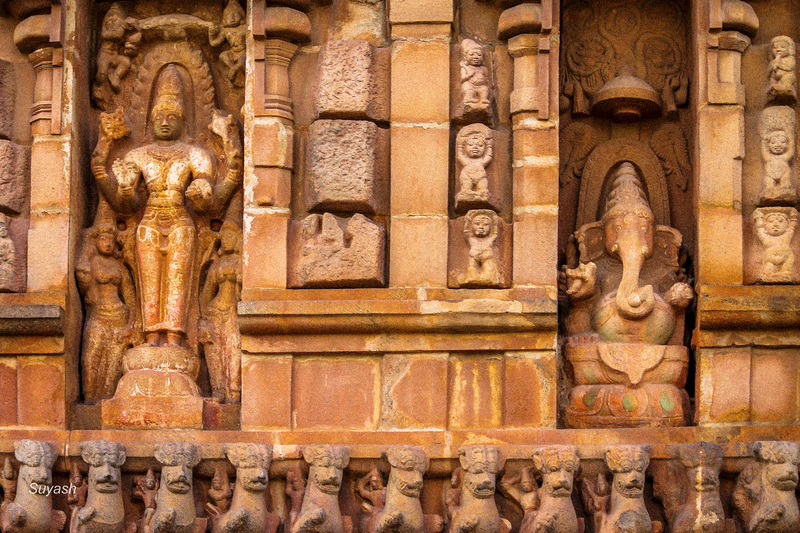 There are inscriptions of Post-Sangam Period in this temple in the early Vatteluththu Tamil - the Tamil Writing of this period which approximately dates to the fourth century (A.D.300 to A.D.400). 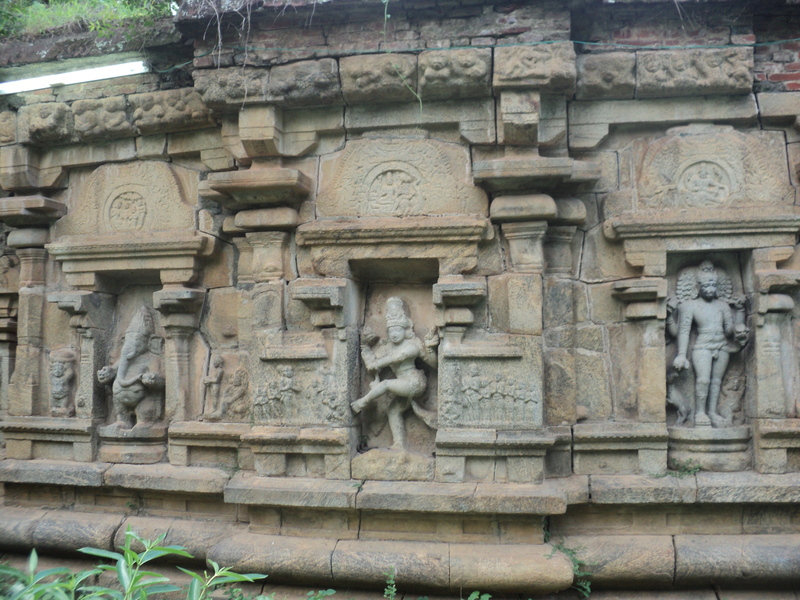 These Images of Pillaiyaar and Sivalinga were carved out by the Sculptor named "Ekkatturu-k Koan Perumthatchan" meaning 'Chieftain of Ekkatturu the Master Mason' (Early Tamil Epigrapy by Iravatham Mahathevan, page 475) who has engraved his name in this inscription found even today in the Karuvarai (Sanctum) of this temple housing the Rock-Cut Pillaiyar and Sivalingam. 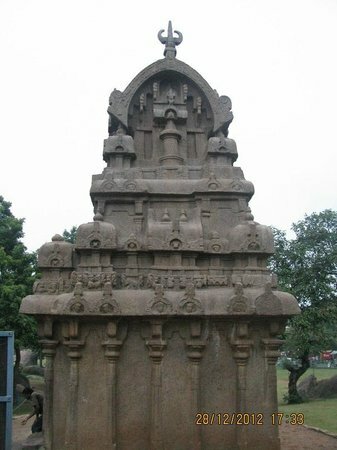 In the sixth century the Pallava dynasty invaded and captured the Thondai Nadu of north Tamil Nadu and commenced their rule with Kanchipuram as their capital with their first king being the "Simha Vishnu", who subsequently brought the Chola country too into their fold. He was followed by two very famous Pallava kings namely the Mahendravarman - 1 (A.D.550 - 575) and Narasimhavarman - 1 (A.D.630 - 668) who built the new seaport city the Maamallapuram. During the period of the Pallava kings the Mahendravarman - 1 and Narasimhavarman - 1 there existed the two among of the foremost Tamil Saiva Saints namely the Thirunaavukkarasa Naayanaar and Thirugnanasampantha Nayanaar both of whom have made reference to the God Pillaiyaar (God Ganesha) confirming the Pillaiyar worship did exist in Tamil Nadu during the period of Pallava dynasty in North-East Tamil Nadu. In the year A.D.642 a great Pallava king Narasimhavarman I sent his forces under his general Paranjothi to capture Vatapi the capital city of the Chalukya king Pulakeshin II. 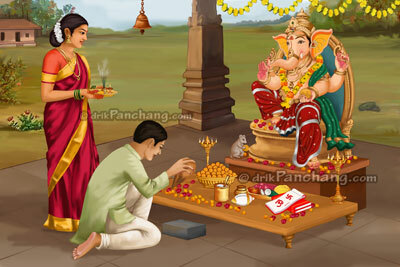 Paranjothi defeated the Chalukiya king and destroyed Vathapi and brought many items from there as war trophies to the Pallava kingdom, among which was the stone image of god Ganesha (Ganapati) - known as "Vatapi Ganapati" which he enshrined at the temple Ganapatheeswarem at Thiruchengattankud at Thiruvarur his home-town in Tamil Nadu.